Choose your cap by bottle closure size! 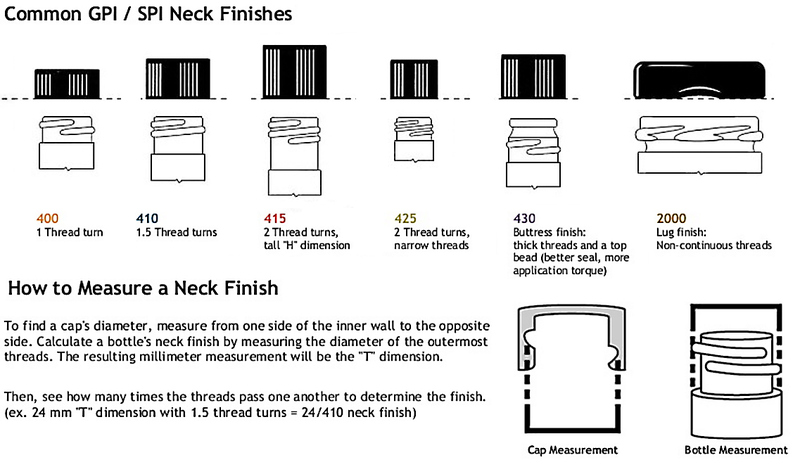 We carry dozens of cap sizes.To learn about how bottle closures and neck finishes are sized, view the image to the right. Visit our Caps and Liners reference page to learn about various liner types.